When it was announced that a long-awaited sequel to Ridley Scott’s game-changing sci-fi thriller, Blade Runner, was going to be made, I was more than a little concerned. Then they announced its director, Denis Villeneuve and after watching his excellent Arrival, I relaxed and said that everything would be alright. Now the epic Blade Runner 2049 has been released I can confidently say I was right, it is more than alright. It is, without a doubt, a masterpiece! LAPD officer K is a blade runner tracking down replicants from the days of the Tyrell Corporation. While finding one in the middle of nowhere, he discovers a tree with a box buried underneath. 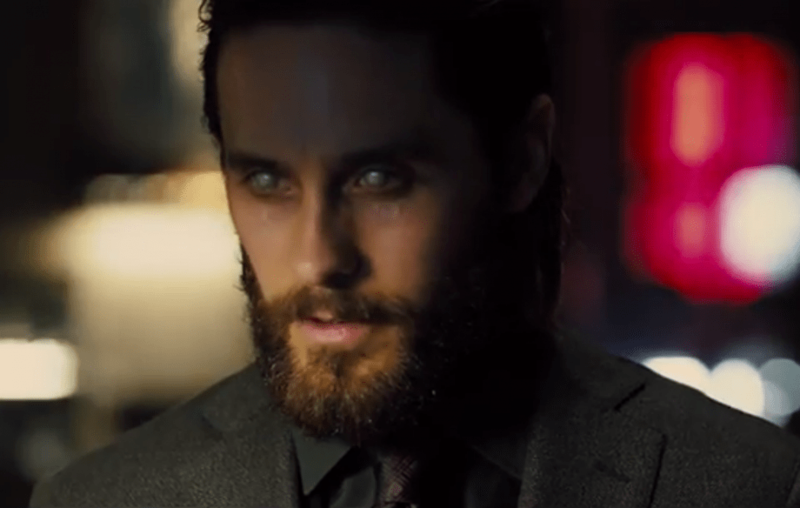 Inside is something that will trigger K to hunt for a figure from the past as well as questioning his own existence, while the new company for replicants are on his tail. 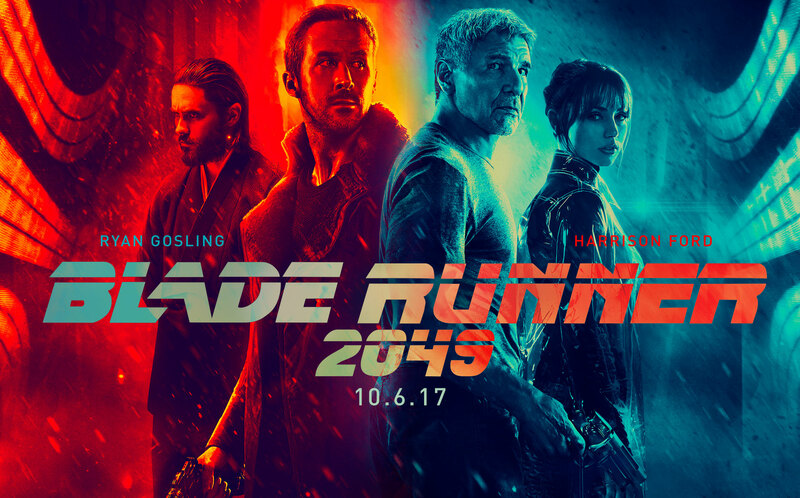 Taking on the duties of directing a sequel to such an iconic and ground-breaking original such as Blade Runner is always going to be a challenge. Do you try to replicate the film or bring something different to the table? Villeneuve has the good sense of doing both. It shows that this is a man who has a huge love for Scott’s 1982 classic as well as tons of respect, so in order for him to extend the universe, he has to take those things that made the first film so good and enhance them to fit his new world. Never once do you feel that this has been taken advantage of. You genuinely give a sigh of relief when you enter the neon, rain-filled streets of LA with their holographic advertising and you feel surprisingly safe, as if you have returned home from a long journey and everything is familiar. Huge amounts of kudos has to go to Roger Deakins extraordinary cinematography. This is not only a visually stunning piece of work but the use of shadows and reflections add a whole new demension to this world. I remember being blown away by the visuals in the first film and I was not disappointed here. Deakins is the finest cinematographer around and he surely deserves an Oscar for this. So with the visuals in place, would this time be as absorbing as before? Would we have a story that will keep our interest for its lengthy running time? At 2 hours and 45 minutes, I was concerned that this was going a step too far, as I am often complaining that some films are far too long. Not here. Villeneuve has done something very special. With a cracking script by original Blade Runner writer Hampton Fancher (along with Michael Green) they have carved out a mature, intelligent thriller which manages to capture that film noir feeling the first one had, while adding new levels themes to peruse but never stepping on or destroying the mystery that Scott’s film had delivered, particularly one question that has always been unanswered: was Deckard a replicant? Using that running time, Villeneuve allows time for the characters to develop, to become more than just pawns for a series of spectacular set pieces. In fact, he is far more interested in K’s investigation than long and pointless action scenes, which makes those scenes become even more thrilling when they do arrive. Genuinely, the final fight sequence had me so gripped, I could feel my chest tightening. The sign of a master filmmaker who allows his audience time to invest in his characters, you become fully emmersed in their world and what they experience. Villeneuve’s love of the original is proven with the soundscape which captures that wonderment of the first film as well as the score, which could quite easily be Vangelis, brimming with electric and synths while never really intruding on the scenes, yet you know its there. The performances are all exceptional, from Ryan Gosling’s K, a man full of questions not only about the case but about his own existence, to the return of Harrison Ford as Deckard, hidden away for years with memories of a past long gone and wanting it to stay that way. The scenes between these two leads absolutely crackle but you do have to wait a while before they come. 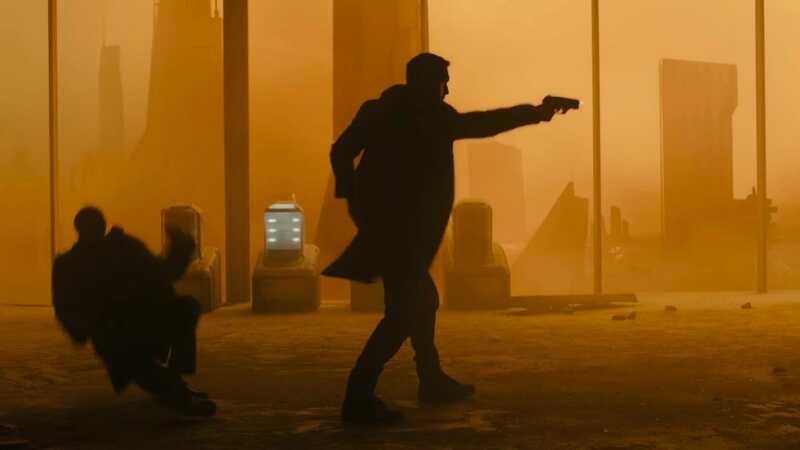 Blade Runner 2049 is an absolute masterclass in filmmaking, from its pacing, visuals, sound and performances. Villeneuve hasn’t just made an equal, it is quite possible he has bettered the original. This is what cinema is about, a film that will have you gasping for breath at the scale of its vision while treating you like an adult and never once talking down to you or having to constantly explain what is going on. By the end, you are left wondering how can a film be this good. Easy, just hire Denis Villeneuve to direct it, that’s how. On leaving the cinema, one customer came out and retorted “Best sequel ever!” He could be right there. An absolute masterpiece!